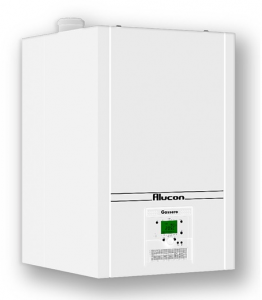 MHG Gassero’s new Alucon gas-fired, wall mounted commercial boilers. Low NOx (Class 5) Alucon wall-mounted gas-fired condensing boilers available in 50kW, 70kW, 90kW, 115kW, 125kW and 150kW capacities, with the ability to combine up to 16 units in cascade configuration. Further flexibility is provided by a fully modulating pre-mix burner with turndown capabilities up to 7:1.